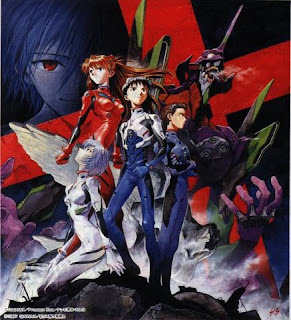 With the success of the 1/1 scale(80cm) Mobile Suit Gundam RX78-2 last year, Gainax is planning to construct a mecha its pride and glory Neon Genesis Evangelion. The full scale mecha will be on a "caged" state (similar to the anime when it was in standby mode) and a fully operational cockpit that tourists can enter (for an additional fee) is also planned. The unit is due to be unveiled in Yamanashi prefecture in late July. Wonder if they will have an Asuka Langley promo girl there.